As technology increases, we find ourselves with the world at our fingertips. So much of what used to require at least a trip to the post office can now be done from our home or office computers. This certainly eliminates some of the stress that our day to day routines can bring, with paying bills, shopping, and even work projects done online – however there is a drawback to the information highway. It also makes it easier for scammers and thieves to rip us off. 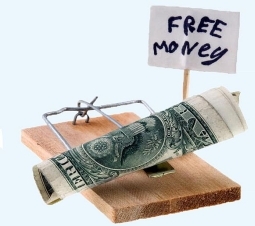 Unfortunately, thousands of people fall victim to consumer scams each year, and the ‘computer age’ has only brought an increase to the amount of people that are exposed to frauds. It’s not just the new age of technology that is to blame though. Some of these scams have been around for years and even continue once the right information is made public. A lot of that has to do with the fact that too many people take what they are told at face value without really researching the facts. Very often the truth is out there to be found, but it isn’t going to be readily available. Sometimes it requires filing a Freedom of Information Act form to get the truth while other hoaxes can be found a bit more easily. Regardless of any work that has to be done, it is worth it to find out what you are buying before you buy it. Some of the more common scams will be discussed along with ones that you may be assuming you have the right information about. You don’t have to become a victim of a rip-off or learn the hard way if you just stop and ask a couple of questions before assuming that something is true. Be an active consumer and keep a doubting eye on anything that is asking for you to spend your money. The age of the Internet has brought us a lot of access to information – and it has also brought those whose motives are less than honest access to our information. Email phishing scams are on the rise and it is important to be aware of what links you are clicking on. The most important piece of information that you can take away from this is to NOT click on any link from your email box. Hackers will send out mass emails that are then forwarded to others and once you click on the link, all of your data becomes open season for identity theft. Never under any circumstances send private information that is asked through an email. Other email scams involve a well publicized news story with a dangerous link that will leak your information and put you at risk for identity theft. Another scam for homeowners to be aware of are ones involving any kind of fly-by-night companies installing alarm systems door to door. Chances are, if they are selling the product in this fashion, they are not registered and letting someone like this into your home to take note of spots where the house is vulnerable to breaking in will often lead to a later burglary. The same goes for any person you allow in your home for service or maintenance – make sure you have double checked all credentials and never buy into door to door repairs. By far, one of the biggest consumer scams going target people’s compassion. False charities pop up all of the time counting on the fact that people will feel sorry for anyone who has experienced a disaster or tragedy. There are organizations such as the Red Cross and Salvation Army that are equipped to handle charitable contributions and they can be contacted directly for donations rather than through someone ‘collecting’. Also be aware that some of these scammers will offer investment opportunities in areas hit by natural disasters such as homes designed to withstand floods or earthquakes. Anything like this is a ploy to get your money and nothing more. There are many products that we buy every day that give an impression of being a higher quality product when in reality there is very little difference. Gasoline is such an example. People are often fooled into thinking that ‘premium’ gasoline is superior to ‘regular’ gasoline when the reality is – there is very little difference except premium is a slightly higher octane. All this means is that cars whose manuals suggest premium gasoline are higher performance cars whose engines may experience ‘knocking’ from using regular gasoline. This knocking, also known as ‘detonation’ is created when ignition occurs in the cylinders from the compression. This can cause regular gasoline to surge rather than burn slowly, which is the main reason premium is suggested with these types of cars. Using premium in average cars simply takes away from your wallet and does nothing to improve the engine or keep it running longer. Along the same subject, gas saving devices are also a consumer scam. These devices, which are built in a variety of different ways, are supposed to reduce the amount of fuel being used. After more than 100 were tested by the EPA, only a very few actually showed any signs of working or slightly reducing fuel consumption. The devices themselves are either designed to pump air in the carburetor, ionize the fuel or magnetize the gasoline itself. As with many things, it sounds complicated so it must work, right? Wrong – it’s simply another scam to get you to spend your money. If you want to cut down on fuel consumption, try walking or car-pooling. Many people have cell phones now and unfortunately it has become another opportunity for scam artists. Always beware of pre-paid phone card offers as well as fly-by-night service companies. These companies, if they are legitimate at all, will switch your provider without warning as well as adding bogus phone charges. And lets not forget one of the most long running scams of all time… the ‘prize winning lottery’ that magically appears out of nowhere that declares you a winner if you simply fill out some forms – and pay a fee? Really, using common sense will show that you don’t have to pay for money they are giving you! 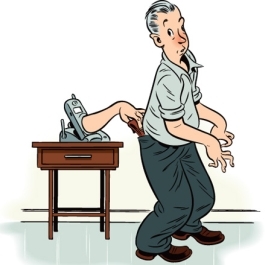 What You Can Do to Protect Yourself from Consumer Scams? The best way to take action against consumer frauds and scams is to report every one possible. There are online agencies as well as the Federal Trade Commission and Better Business Bureau’s websites that have sections where scams can be reported. Try to have as much information to give as possible such as the business name, phone numbers, addresses, and any contact names obtained. In many cases the information you have is likely fraudulent as well, but anything you can give might add up to other reports filed. The important thing is to get the truth out there on any platform available. By doing your own research, you can find lists of scams so you will know what particular ones are presently going around. These lists are updated constantly, and are dependent upon the consumers that report them to stay current. Keeping updated on these fraudulent products and offers goes a long way in preventing more people from being taken in. No one likes to get ripped off, and the first thing many people want to know when they find out it has happened to them is what can be done. There are some cases, such as false charities and lotteries that, if tracked down, can be prosecuted by the law for fraudulent practices. In other cases, the best you can hope to do is get the name out there to make others aware of the company or product. Unfortunately the ways to rip people off are getting easier and more widespread, but those same tactics can be used to get the right information out there. The voice of the consumer can carry a lot of weight, but it takes speaking up for that voice to be heard.